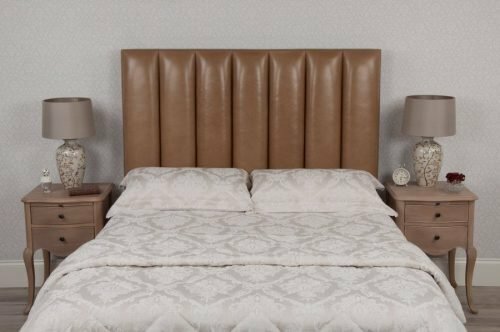 When instant wow factor is required, you need to look no further than our beautiful Deep Buttoned leather headboard. 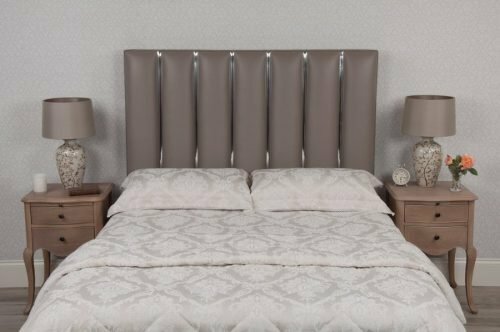 This luxurious headboard oozes opulence, sophistication and style. Our inspiration for this design was derived from the Victorian deep buttoned Chesterfield, circa 1870. Traditionally upholstered in leather it was the centrepiece of many living rooms, today in we make it the centrepiece of many bedrooms. 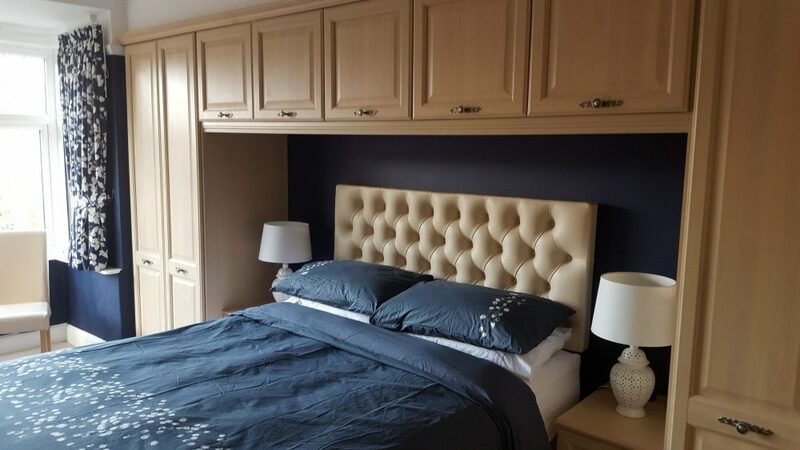 These headboards are a true work of art representing the skills required by our upholsterers to create such stunning pieces of craftsmanship. Each button is carefully and precisely inserted one at a time until the entire face of the headboard is studded. Once this is done, every pleat has to be skilfully worked into place whereby they all look straight. 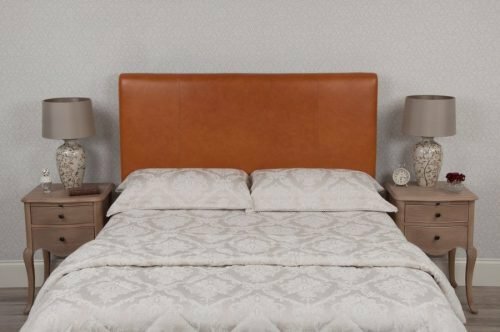 Generally a full hide of leather is used on each headboard, but depending on the size, more leather is joined together within the buttoning to leave an invisible and perfect seam, without using a single stitch anywhere on the finished product. This is a very time consuming exercise, but the results really do justify the hours involved as the end product looks very visually decorative. We picked the deep button on a curvy classic shape in Vele Latte. The Chesterfield sofa look is something we have searched everywhere for and only found it here. It is everything we wanted with lovely deep buttoning in soft leather and a great profile. We selected quite a few samples and the total cost was deducted from our final order. Excellent customer service and pretty fast delivery considering they are made to order. We are very, very happy with our headboard. 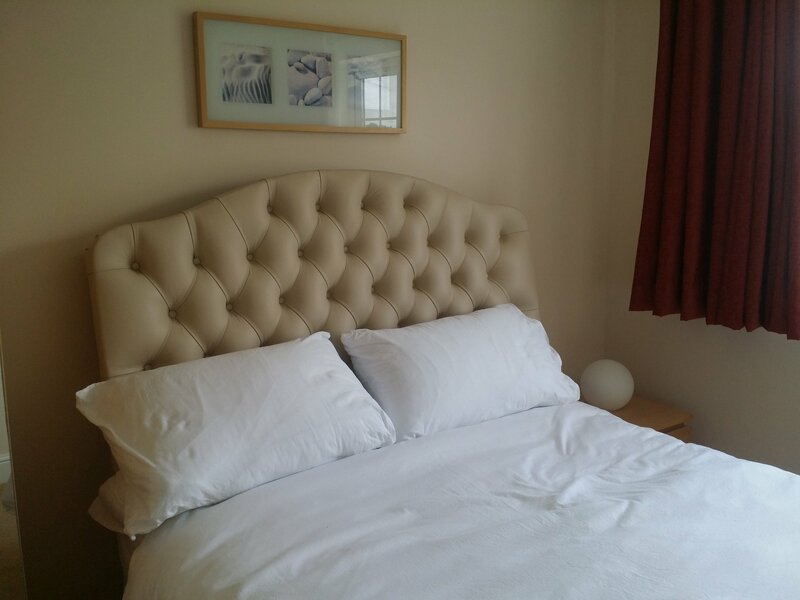 I am delighted with the quality of my headboard and the service provided by Love Leather. The headboard compliments the scheme and adds a touch of luxury and comfort to the room. Thank you for the outstanding service provided, I will certainly recommend the company to others. 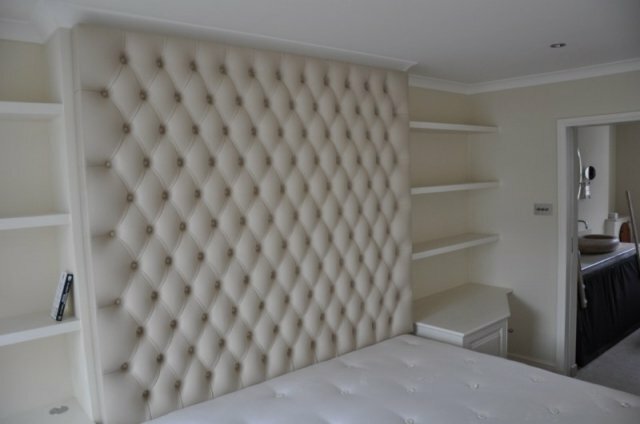 Large wall feature headboard made to my own exact dimensions. Beautiful quality and safely delivered on time. Fitted in one of our boutique hotel rooms. Makes the room look sensational.